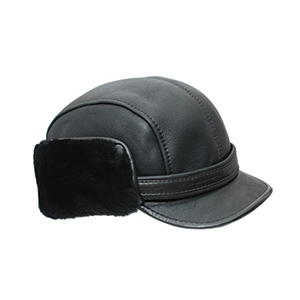 Looking for a classic men’s hat? 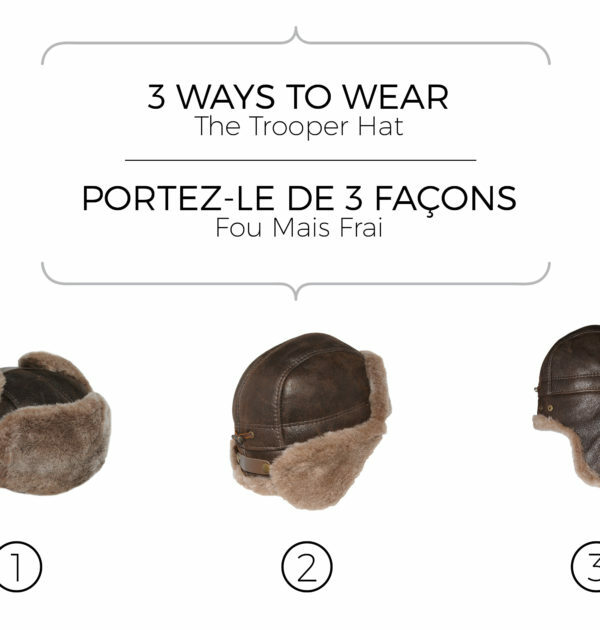 Then look no further than our new TROOPER hat. 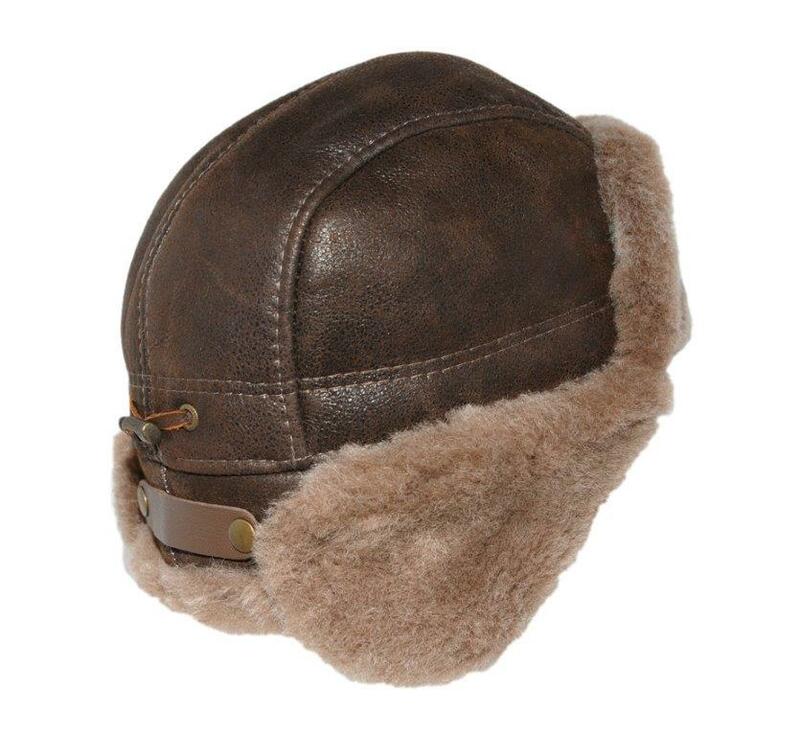 It is one of the most enduring men’s styles ever. 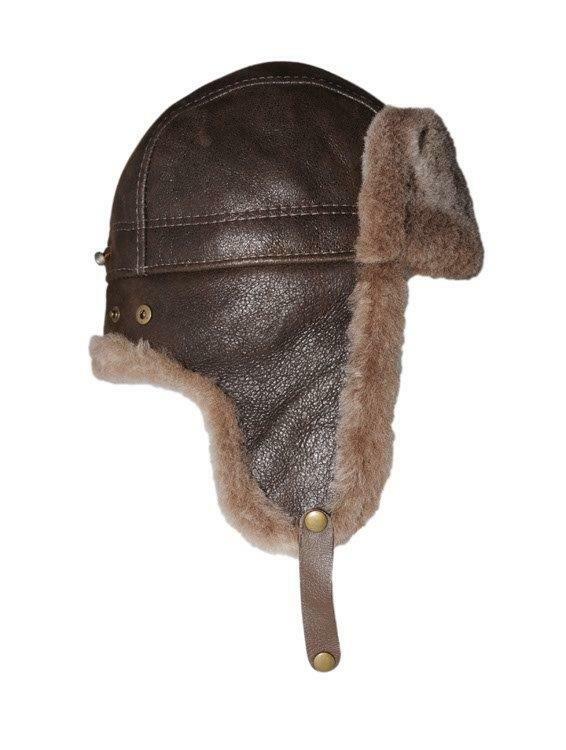 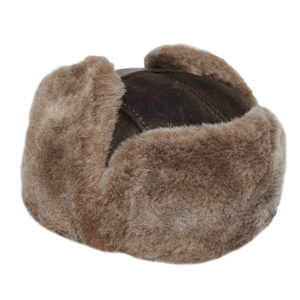 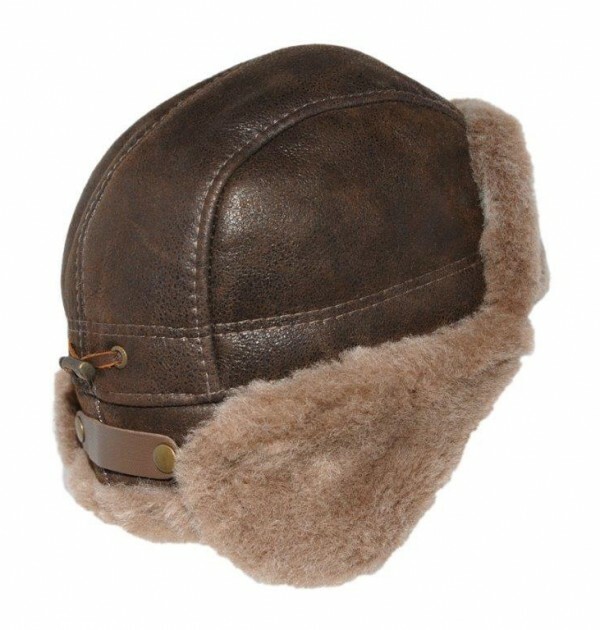 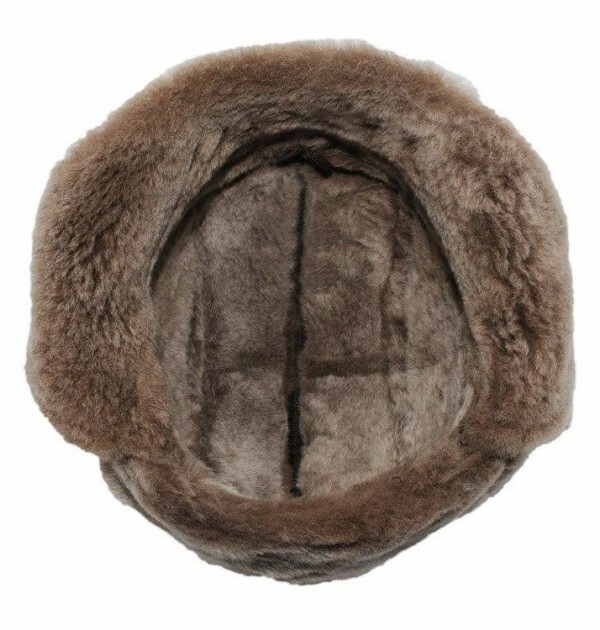 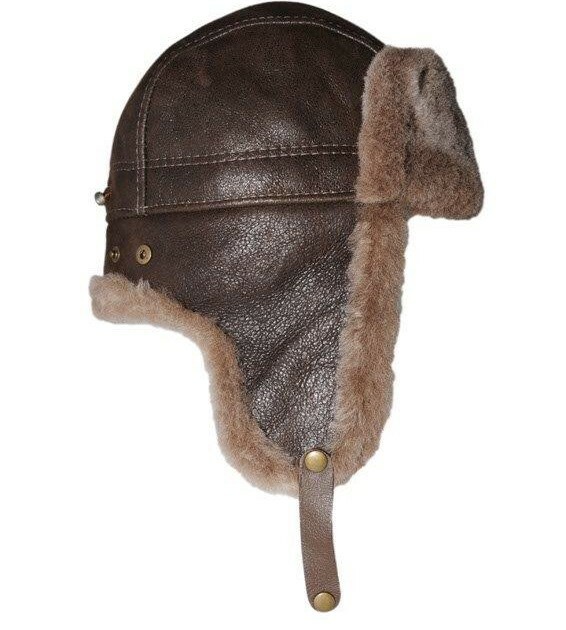 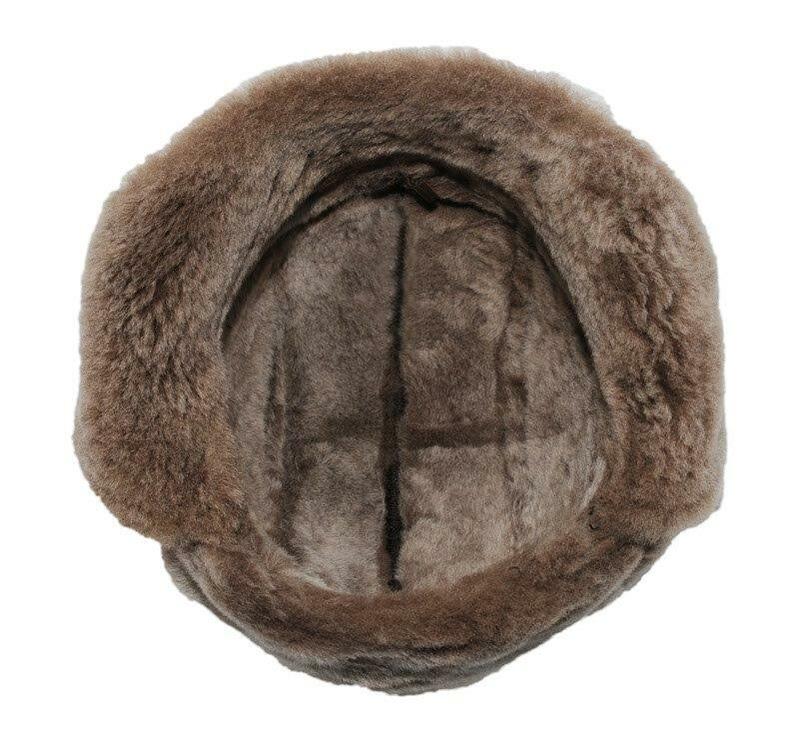 It is made of genuine double faced sheepskin to keep you extra warm all winter long, and is adjustable. 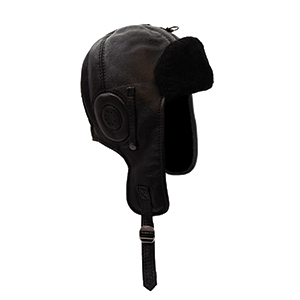 The ear flaps can be worn three different ways, snapped up for a classic look, to the side, or kept down to protect the ears. 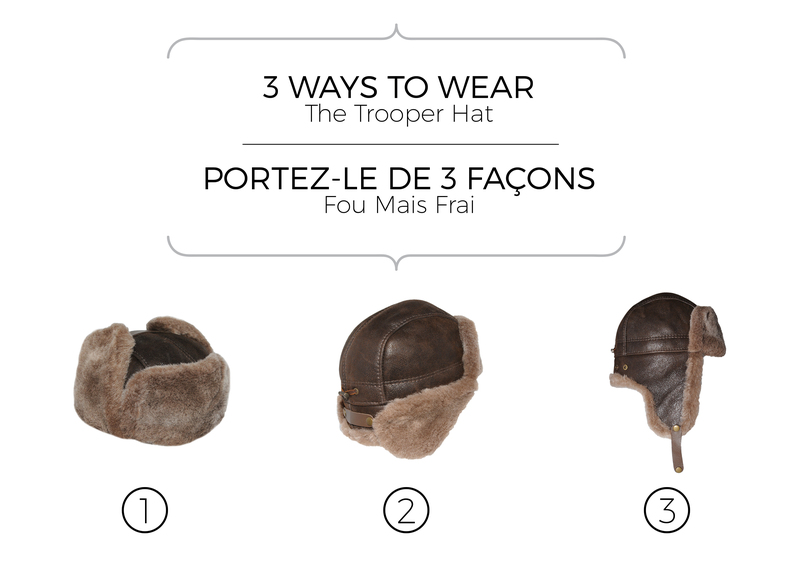 All three ways are quick and easy to accomplish with the handy snap strap, attached to the back of the hat. 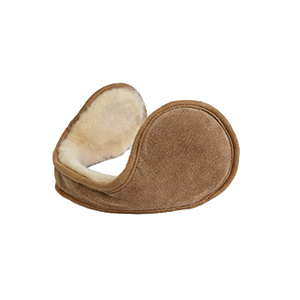 This strap can also be used to buckle up under the chin. 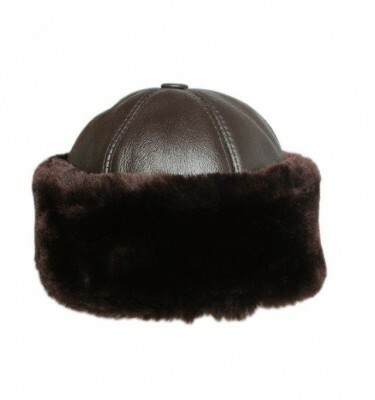 Double hand stitched and naturally water and stain resistant.